With the Migraine Research Foundation reporting that migraine headaches affect 38 million adults and children in the U.S. (more than asthma and diabetes put together), it's not surprising that Dr. Mulholland treats a lot of headache patients in our Anchorage office. While some folks try to relieve migraine pain with medications, chiropractic care is a fantastic, all-natural choice that often provides positive results. For example, one study published in the Journal of Manipulative and Physiological Therapeutics involved 127 people ranging in age from 10 to 70-years-old who struggled with regular (at least monthly) migraines. Each subject received up to 16 chiropractic sessions. The subjects noted that their headache frequency, duration, and disability two months before the study began, during the duration of the sessions (which was two months), and two months post-treatment. What the investigators discovered is that chiropractic adjustments reduced the frequency, duration, and disability of the migraine headaches when compared with the control patients who didn't receive chiropractic. Even better, this allowed them to take less medication for the pain, providing them an all-natural answer for a chronic condition. Another paper found that a combination of chiropractic and neck massage reduced migraine headaches almost 68%. If you have migraine headaches and are looking for help, call Dr. Mulholland today and request an appointment in our Anchorage chiropractic office. We'll do what we can to help you become pain-free! Knee pain is a frequent issue for people in our Anchorage chiropractic office, and Dr. Mulholland has happily provided many of these folks relief. This is largely because chiropractic care has been found to help with many types of knee pain. For instance, some patients encounter pain in and around the knee tissues due to degenerative arthritis. Research has proven that this condition responds very well to chiropractic--and rather quickly, too. In fact, one paper published in The Journal of the Canadian Chiropractic Association found that men and women with osteoarthritis in their knees felt significant pain relief and enhanced function after just two weeks of chiropractic care. If your knee pain is as a result of a medial meniscus sprain, chiropractic could likely help with that as well. One article reported that integrating chiropractic with soft tissue therapy, rest, ice, and compression on the affected knee helped lower the intensity of the pain. Clearly, sometimes a knee replacement surgery is necessary in order to rectify the problem, and if that's the case, chiropractic care can also help improve the outcome. How? Medical research has found that patients with low back pain often have less positive results after knee surgery. So, dealing with your back pain through chiropractic prior to having a total knee arthroplasty can help with your post-surgery recovery. No matter what your knee issue, Dr. Mulholland can likely help. Call our Anchorage office today and find out what we can do for you! We see a considerable number of individuals with headaches in our Anchorage office, and Dr. Mulholland has been able to support many of them. Indeed, the World Health Organization (WHO) reports that half of all adults struggle with some manner of headache condition, so this certainly isn’t shocking. One of the most typical kinds of headaches which our patients are afflicted by is cervicogenic headache which, luckily, chiropractic can generally help. A cervicogenic headache is one that comes from a problem in the cervical spine. It can be a result of a condition with either the spine itself (primarily, the vertebrae, joints, or discs), or it might be brought on by a problem in the muscles and tendons of your neck. This dysfunction in your spine results in constriction or aggravation of the spinal nerves, which can result in headache pain. 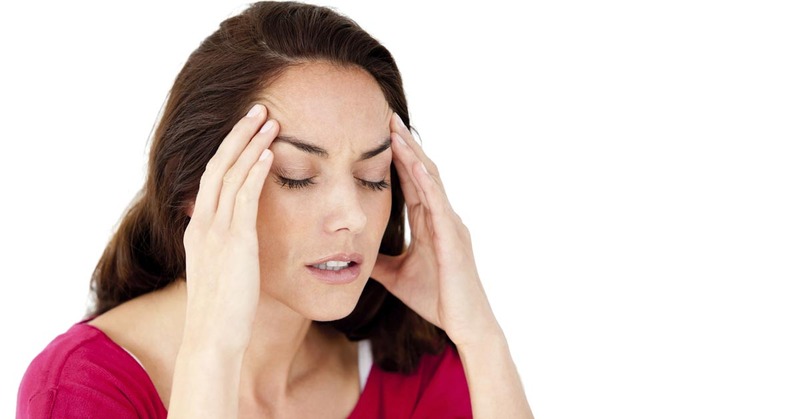 How do you recognize if the headache you are being affected by is a cervicogenic headache? Other than getting a diagnosis from a healthcare professional, a typical symptom of cervicogenic headaches is tenderness or pain in your neck. This is occasionally combined with pain in the back of your head or between your shoulder blades. Because cervicogenic headaches will not go away until whatever problem is inducing them is corrected, it is vital to receive treatment rather than just trying to "wait it out." Chiropractic care is an excellent solution, and one that offers a considerable amount of headache pain relief. In one study printed in Chiropractic & Osteopathy, experts evaluated 80 people who had regular cervicogenic headaches. Half received chiropractic care and the other half underwent light massage therapy. Each participant was evaluated 12 and 24 weeks after the treatment and it was found that chiropractic provided the best outcomes. Specifically, this study found that chiropractic adjustments gave patients enhanced pain relief and reduced the frequency of headaches that occurred. Additionally, it also minimized the disability that resulted from these painful headaches. To find out what Dr. Mulholland can do for you and your headaches, call us today. We'll do our best to get you the pain relief you need! We see many patients in our Anchorage office with ankle sprains but Dr. Mulholland has had a lot of success helping them recover more quickly. Why are ankle sprains so common and how can chiropractic help? According to the American College of Sports Medicine (ACSM), an estimated 25,000 people in the US sprain their ankles every day. As a matter of fact, these injuries make up nearly half of all sports injuries, causing people to spend time away from the activities they enjoy most. Like any injury, there are many causes of ankle sprains. The most frequent is inversion, or when the ankle rolls inward. This injury can occur due to one forceful movement, or it can develop over a period of time, and activities that increase the risk for this type of ankle sprain include running and jumping. You're also at risk if you have pre-existing ankle injuries, poor posture or balance, weak muscles, and reduced range of motion. How Can Chiropractic Treatments and Dr. Mulholland Help? A report printed in the Journal of Manipulative and Physiological Therapeutics set out to discover chiropractic's role when it comes to ankle sprain recovery. The authors enrolled 33 men and women between the ages of 18 and 45 who had a history of ankle inversion sprains, who were experiencing tenderness and/or pain, and had not re-injured the ankle in the previous six weeks. 18 of the participants were assigned to participate in rehabilitation and the other 15 people received chiropractic adjustments in addition to rehabilitation. Each person had five full weeks of treatments, with the rehab group receiving treatment seven days a week and the rehabilitation plus chiropractic group receiving treatment six out of the seven days. The study found that the individuals who had both rehab and chiropractic fared the best at the 4-week mark when it came to pain and joint restriction. In addition, no bad effects were reported, showing that chiropractic is safe. If you're near our office in Anchorage and you're struggling with an ankle injury, give us a call. We'll do what we can to keep you up and moving... literally! If you are afflicted by fibromyalgia, you are not alone, as Dr. Mulholland sees many patients with this particular condition in our Anchorage chiropractic office. Actually, the Centers for Disease Control and Prevention (CDC) estimates that roughly two percent of all adults in the United States have fibromyalgia. Fortunately, chiropractic is one treatment option that can provide positive results. In a study released in mid-2015, 215 women and men with fibromyalgia were evaluated based on factors ranging from pain to quality of sleep to the levels of depression symptoms and anxiety they felt. Then they were split into two groups with one group receiving a multi-modal treatment program for three months and the second group receiving the same approach plus chiropractic adjustments (specifically, to the upper neck area) for the same length of time. The subjects who received chiropractic adjustments combined with the multi-modal treatment approach reported greater results in all areas (pain, sleep, depression, and anxiety) at 12 weeks post-treatment when compared to the study participants who received multi-modal therapy without chiropractic care. Furthermore, those positive results were long-lasting as the individuals reported continued improvement one full year later. Fibromyalgia can significantly decrease your quality of life, both mentally and physically. If you're suffering from fibromyalgia, we might be able to help. You don't have to suffer! To see what Dr. Mulholland can do for your fibromyalgia, call our Anchorage chiropractic office today. Fibromyalgia. Centers for Disease Control and Prevention. Retrieved from http://www.cdc.gov/arthritis/basics/fibromyalgia.htm on November 2, 2015. Moustafa I & Diab A. (2015, July). The addition of upper cervical manipulative therapy in the treatment of patients with fibromyalgia: a randomized controlled trial. Rheumatology International;35(7):1163-74. Regrettably, quite a few of our Anchorage patients know the pain caused by a herniated disc all too well. On a positive note, Dr. Mulholland has helped many people with disc pain, and a number of medical studies have verified that chiropractic can help people recover from this kind of problem. 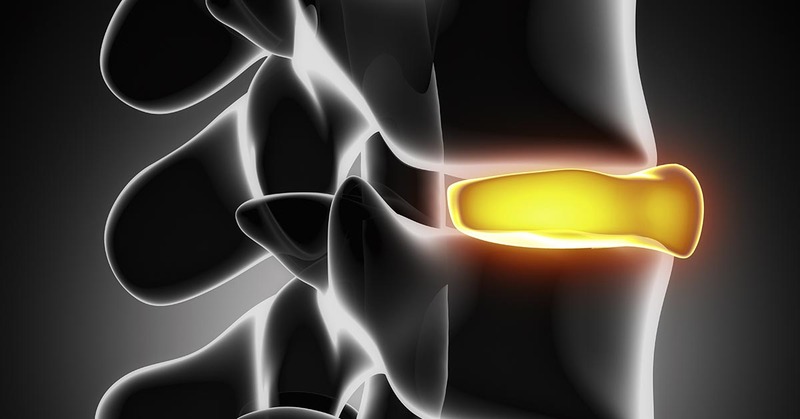 In one report, researchers from Switzerland recruited 148 patients who were dealing with pain in their low back and legs due to a herniated disc (which was confirmed through magnetic resonance imaging, or MRI). Each person then received chiropractic adjustments that focused on the area of his or her disc problem. Data was obtained after the preliminary treatment session at set intervals--namely, 2 weeks, 4 weeks, 12 weeks, 6 months, and 1 year--to find out what type of short-term and long-term effects, if any, chiropractic offers when it comes to resolving this particular problem. Among the information collected was the individual's self-reported changes in both low back and leg pain. Researchers found that, as a whole, the patients reported "significant improvement" for both types of pain every time the results were collected. In fact, over 90% of the individuals stated that their pain "improved" within the first three months, with 88% still citing improvement one year after their first treatment session. In this study, a 26-year-old man had presented with disc herniation symptoms such as pain in the low back, left leg, and left groin area, along with left foot drop and muscle weakness. He had suffered with these issues for more than two years after sustaining an athletic injury, and his herniated disc was confirmed via MRI. After receiving chiropractic care, "The patient responded favorably and his multi-symptom complex resolved within 90 days of treatment." Furthermore, the patient was still enjoying relief one year after the chiropractic intervention. Studies like these show how beneficial chiropractic can be when it comes to alleviating herniated disc pain and treating the symptoms they produce. So, if you are suffering from back pain caused by a herniated disc and want to find some relief, chiropractic might be an effective solution. Don't suffer from chronic herniated disc pain. 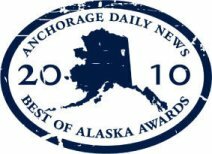 Give our Anchorage office a call today at (907) 770-5700 for a consultation or appointment. 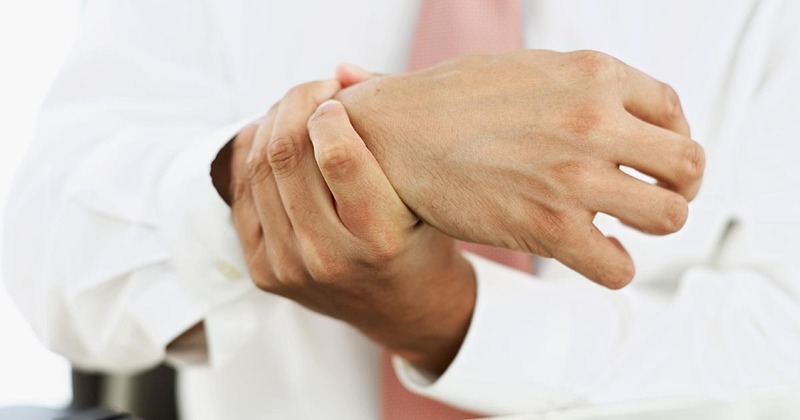 Dr. Mulholland sees a lot of people troubled with carpal tunnel syndrome in our busy Anchorage chiropractic office. While some people think that the origin of this wrist-related pain is muscular, it's actually a condition that arises from the nerves--and not just the nerves in your hands. Recent research printed in the Journal of Orthopaedic & Sports Physical Therapy assessed 71 women between the ages of 35 and 59 who were diagnosed with carpal tunnel syndrome. Upon studying the subjects' neck range of motion, the authors discovered that the patients had reduced cervical flexibility when compared to a healthy control group. In addition, it was also observed that the degree of the women's reported carpal tunnel discomfort was linked to the lateral flexion of the cervical spine. In short, the less flexibility in the neck, the higher the level of pain. This study is very important, as you cannot effectively address a condition until you fully understand its source. By realizing that the root of carpal tunnel issues is in the neck, this means that all-natural approaches like chiropractic can often restore normal function, reducing the need for risky surgery. If you are suffering from carpal tunnel pain, call our Anchorage location and ask how Dr. Mulholland can help you get relief! De-la-Llave-Rincon A et al. (2011, May). Women with carpal tunnel syndrome show restricted cervical range of motion. Journal of Orthopaedic & Sports Physical Therapy;41(5):305-10. Simon H. Carpal Tunnel Syndrome. University of Maryland Medical Center. Updated May 6, 2012. Retrieved from https://umm.edu/health/medical/reports/articles/carpal-tunnel-syndrome on November 2, 2015. We see quite a few patients with back pain in our Anchorage office, and Dr. Mulholland has been able to help a lot of them get relief with chiropractic. At the same time, dealing with back pain doesn't necessarily mean having to make a choice between chiropractic care and medical care, as many people use both types of care with great outcomes. In a study published by the medical journal Spine researchers1 looked at a group of active-duty military personnel between the ages of 18 and 35 who claimed both acute discomfort and restricted function due to back symptoms. Some of the test subjects engaged in treatment via standard medical care, while the remainder received chiropractic care along with standard medical care, as the authors wanted to see which group fared better. The authors discovered that the patients who received standard medical care along with chiropractic scored "significantly better" than the patients who got medical care alone; 73 percent reported positive benefits in comparison to just 17 percent of the medical care only group who indicated the same amount of improvement. This was true regarding both pain and level of function at two and four weeks. Therefore, integrating these two forms of care can greatly benefit you--the patient--offering advantages when compared to medical care alone. However, while chiropractic and medicine can work together, chiropractic offers some unique advantages over medical therapy. Although it may seem as if each approach plays a 50/50 role, there is one major advantage that chiropractic has over medical care and that is in patient satisfaction. In fact, one bit of research from UCLA2 that was published in the American Journal of Public Health found that, on average, chiropractic patients are generally more satisfied with their recovery than those undergoing medical treatment. According to the researchers, the main factors that patients liked over medical care were "self-care advice and explanation of treatment." This isn't unexpected, as chiropractors commonly spend much more time advising their patients as to how they can improve their health on their own, as well as outlining more carefully what to expect from chiropractic care. Without a doubt, the methods associated with chiropractic are very different than those provided with medical care, but a large amount of the distinction is the fact that chiropractic is a holistic approach to health and well-being. Instead of focusing on simply relieving the symptoms, chiropractic means finding the root cause of your pain, which often translates to greater improvement as you are addressing the problem at its source. In addition, while medication is sometimes helpful for managing certain conditions, many health issues respond well to a natural approach like chiropractic. This means fewer negative responses to medications and longer-lasting recovery. You don't have to suffer from back pain or other health issues. Give our Anchorage clinic a call today at (907) 770-5700. We'll do our best to help you get and remain free from back pain. We treat many car accident cases in in our Anchorage office, and a widespread symptom we see in our patients is shoulder pain. Chiropractic care is an effective way to treat shoulder pain. Let's look at how shoulder pain is caused by a crash and how Dr. Mulholland can help you. There are at least two different ways that you can develop shoulder pain after a car crash: by direct injury to the shoulder or by radiating pain from the neck. Direct injury can be caused by striking your shoulder on a hard object in the car during the impact, or can occur if you have a tight grip on the steering wheel during a rear end crash. With this type of injury, you'll often be aware of the pain soon after the wreck. More frequently, Dr. Mulholland finds that shoulder or arm pain doesn't immediately appear after a collision, but begins a few days or weeks after the trauma. This type of shoulder discomfort actually starts in the cervical spine. Injured ligaments or muscles in your neck can pinch nerves in your neck, causing tingling, numbness, or soreness in your shoulder, elbow, or wrist. We've treated many types of shoulder problems in our Anchorage office. This care involves chiropractic adjustments to restore your spine's natural mobility and exercises that strengthen your neck and shoulder. You don't have to suffer from shoulder pain. Dr. Mulholland is conveniently located in Anchorage to help you heal, whether you've been in an auto collision or not. First, we'll do a careful examination to determine the root cause of your pain, and then decide how to restore your body's natural functioning. Give our office a call today at (907) 770-5700 to make an appointment. 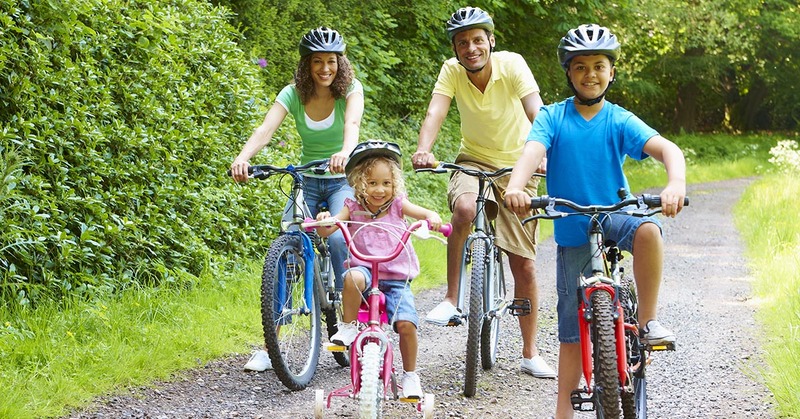 Asthma is a serious issue for many people in Anchorage and for society as a whole, really, since the Centers for Disease Control and Prevention (CDC) reports that this problem currently affects almost 19 million adults and 7 million children in the United States. A full-blown asthma attack likely means a hospital visit. Fortunately, Dr. Mulholland has helped many folks in Anchorage get relief from asthma symptoms. The medical literature verifies what we see in our office. For instance, a study published in Clinical and Experimental Allergy assessed 31 adult asthma patients after getting four weeks of chiropractic adjustments. The researchers found that the participants who received chiropractic adjustments had a 34% decrease in asthma symptoms. The Journal of Manipulative and Physiological Therapeutics published another asthma-based study, except this one involved children. In this article, the 36 kids ranged from 6 to 17 years in age and their asthma was regarded as either mild or moderate in severity. After 12 weeks of chiropractic, as a whole, the children reported a higher quality of life and a lower level of severity. As a bonus, they also indicated that they relied less on their bronchodilator and these positive effects were still being demonstrated one year after chiropractic care was finished. So, whether you're 7 or 70, if you have asthma, be sure to contact Dr. Mulholland in Anchorage and make an appointment today. We'll do what we can to help you breathe easier! Asthma. Centers for Disease Control and Prevention. Call our office at (907) 770-5700 for an appointment today!